Animal trainer, truck driver, A.E.E. 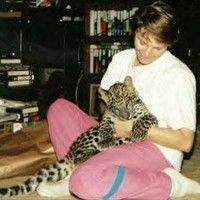 My nick name is JoDee, and I have a life time of animal training experience, from house cats to elephants, in most environments. Born and raised in the film industry, and carried on into other fields. A handy kinda gal to have around, if animals are involved. Whoa, you train cats?!?! I though that was impossible! LOL! I've always wanted to work with larger cats. I have had simular experience, but throw in horses, elephants, and the occasional dog...and parrot, and well, ya, I've been a chew toy. 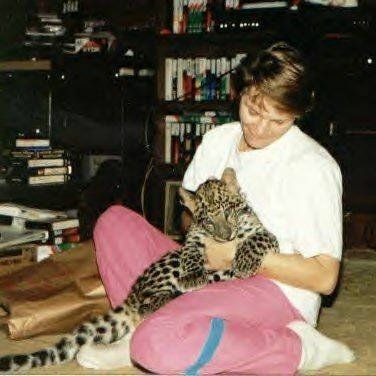 My dream is to have a pictures with a large CAT! But others of mine are coming true! But to feed an elephant would be cool! I only have rats right now! But still we need to love the little critters too! Animals in film are awesome! Amazing how smart they are! Very Cool! Nice to have you in my netwrok JoAnne!